Street parking and designated lot. The Classic Cafe at Roanoke offers live music, Thursday through Saturday. Onsite banquets and offsite catering ranging from buffet lunches to plated dinners. The Classic Cafe at Roanoke serves a world-class menu in a casual, relaxed cottage setting. Fare is not limited by continent or region, and Chef Charles Youts’ weekly features are as likely to hail from the Pacific Rim as they are from his childhood home in West Texas. Chef Charles finds garden-to-table inspiration in the Chef’s Pantry garden, maintained on The Classic grounds since 2009, and his features regularly highlight the seasonal fruits and vegetables grown there. New American menu includes steaks, seafood, pasta, small plates. We will offer a special 3 course lunch from 11AM until 3PM. The cost is $40 for adults and $25 for Children. Our regular lunch menu will not be available. Been there twice and the menu was different each time. Definitely a gem. Great foods and service and live classical guitar music. Everything was wonderful. The only improvement I would recommend is the silverware. It was very thin and reminding me of a cheap diner fork. Great food, with impeccable service. This is a GEM of a place, I love that they grow most of their own greens. We had several different dishes, several having a form of Salmon and every one was done PERFECTLY and all dishes tasted wonderful. We come here frequently. This time to celebrate the birthday of a dear friend. Jeff was our server and he was great. Very personable. Curtis helped with wine selection too. The drum, the fish special for the night, was so tasty as was the shiitake mushroom soup. Great food and service. A bit on the pricey side, but was worth it for an enjoyable dinner. The food was pretty good but the server was inattentive at times. She forgot multiple item throughout the evening. She first forgot a side dish. She then forgot our drinks and once we brought this to her attention, she brought us the wrong drinks. She then forgot my wife had already ordered dessert and asked if we would like to order dessert. Very delightful, my husband described his steak was perfection. We were both very pleased with our pallet. Dessert was a perfect balance of our love for sweets and spice. Overall experience was very enjoyable. The staff is pleasant and the atmosphere was very intimate. We will be back for sure! We have shared our experience with most of our friends and hope they go and Experience a night like ours. We are looking forward to a cooking class with Chef Charles. We loved his Passion and the Food most certainly was filled with it! House smoked salmon appetizer (true to its name, not smoked in a smoker) and tomato basil soup were both delicious. Peppercorn caesar salad had hint of anchovy (flavorful), we requested additional croutons, they were nice and crispy. Pan-seared farm raised rainbow trout slightly under cooked, but savory in seasoning. The 7 ounce choice beef tenderloin cooked to perfection (med rare). Portions were excellent. Be sure to order the horseradish sauce with the steak, it’s a must. Almost forgot - All the veggies fresh. Staff is proactive, Chase and Stormy professional. Both attentive to details throughout the evening. Tables for two are very slender tables (small). We requested to move to a four top to which they kindly accommodated. Negative - there was confusion regarding our $50 bottle of pinot noir. After opening they realized it was not the bottle we ordered, we sampled it and stated it would be fine (after Francis provided his insight into the vineyard in Oregon). I stated, however, we would be fine as long as it’s at the same price of the $50 bottle of wine we ordered...to which the response was “of course”. When the bill came...we were charged $65 with no advanced warning. Over-all, we enjoyed our dining experience and will return. Fine dining is found here at The Classic in Roanoke, TX. It’s always a wonderful experience, unless the table next to has guests who speak loudly. This is the second time this has happened and it significantly detracts from an otherwise great meal. I’m a frequent visitor to this fine establishment. We brought friends from out of town and wanted to impress them and Curtis and his team did not disappoint. The food is always amazing. Be sure to wrap up your visit with one of their amazing after dinner drinks! Always a great place for dining. It had been several years since our last visit and we are now wondering why. Thoroughly enjoyed the evening. We three we very pleased with our dinners at Classic. The food was a little different than usually served and was a real treat. 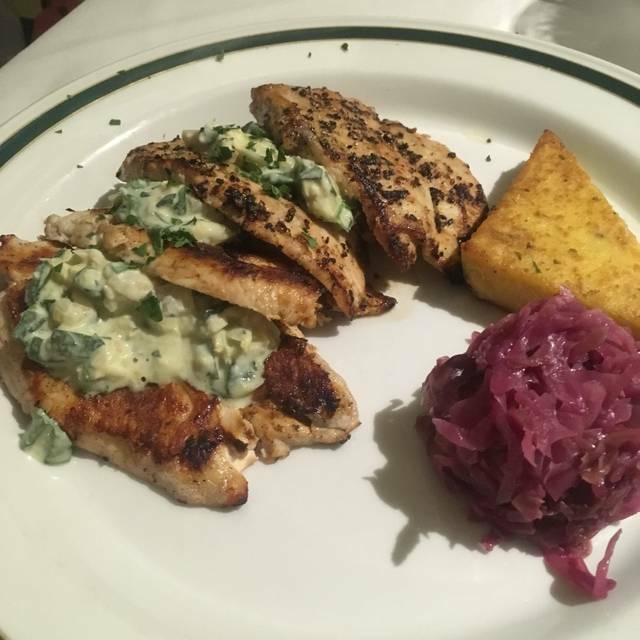 Polenta and red cabbage—wonderful! I don’t live in Texas, but will make a point of returning to The Classic on my next trip. Thanks for a real treat. We celebrated a birthday there and all parties raved about their food selection. Mt prime tenderloin was cooked perfectly and was prepared with great flavors in the sauce. 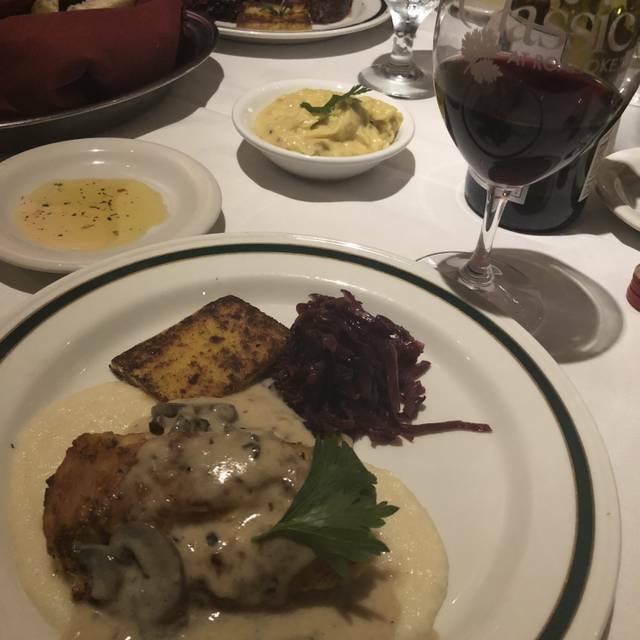 We go to the Classic for all our celebrations as we have done for 25 years because you are guaranteed great service, wonderful food, and an ambiance that makes you part of the family and not just another customer. W have found no other place that gives us that family feeling bathed in real class you expect with fine dining. My guest and I had a great dinner together on Monday evening. We each enjoyed three courses. The ambiance was great and quiet enough for us to have a long conversation about our previous professional experiences and future plans for an institution for which we both had been employed. Apart from gracious conversations with the restaurant's owner Curtis Wells and two members of his wonderful wait staff, we were able to communicate easily and in an unhurried way with minimal noise from diners at adjacent tables. At the same time, we really enjoyed the flavors of the food we selected from the unique menu. Everything was fresh and interesting. First time here and a great choice!!! They featured a acoustical guitar player on one side of the restaurant, so you had a choice do dine listing to the music or not. Very wise option. We chose to listen, and music was played at the perfect volume level as to not interrupt our dinner conversation. Our service here was 5 star from the moment we walked in to the moment we walked out. We were treated, and talked to like we were family that had been coming there for years. Such a comfortable feeling. We ordered shrimp escargot and crab cakes as appetizers. 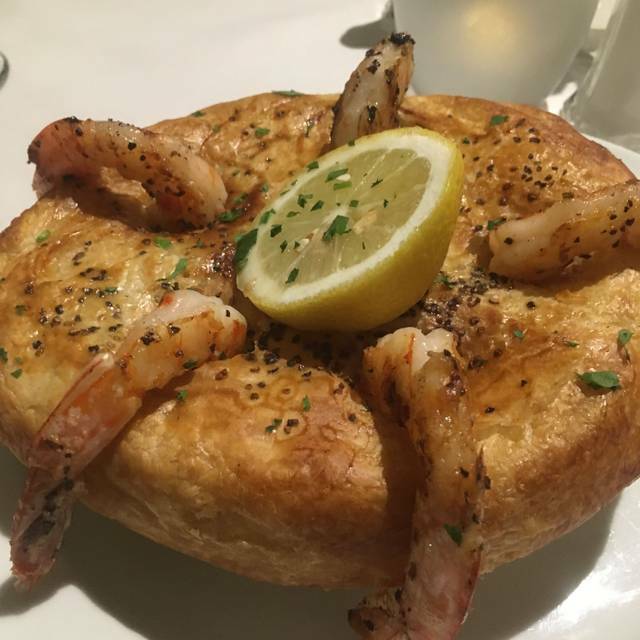 The shrimp was served in a large escargot container with a light pastry covering all of the buttery goodness (never seen that before), and the crab cakes were more like crab lumps of meat! Wow, so much goodness in just the appetizer! We both had the pepper incrusted tenderloin cooked to perfection. The wine selection had enough range for a place this size that it did not disappoint. 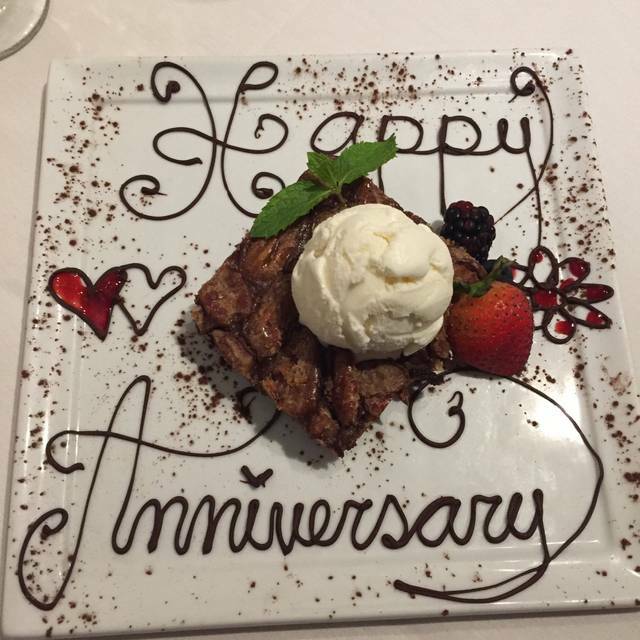 Next time we visit, we will have to save room for one of their signature desserts (and there are several). We were just too full. If I had to find anything to be slightly critical about (and round out my review), it would be that the tables are a bit too close together for a truly private dinner, and of course parking is always tough (but not their fault). We will be back to dine at this wonderful place, and you should too !!! Great food from appetizer, to entree to desert. Good portions as well. The service was equally attentive, pleasant. Looking forward to our next visit. This is a excellent restaurant to visit for any occasion . The service is impeccable and the food is outstanding . This is always my first choice when I have guests in town and I want them to experience an amazing dinner . Had the duck and wife had the daily fish special and both were delicious. My wife and I always enjoy The Classic. It's a solid regular menu with always interesting specials. The wine list is solid and reachable, for drinking not for "show". Staff is well trained and guided by experienced managers on site and hands on. Always worth the trip. Wine list was nice. 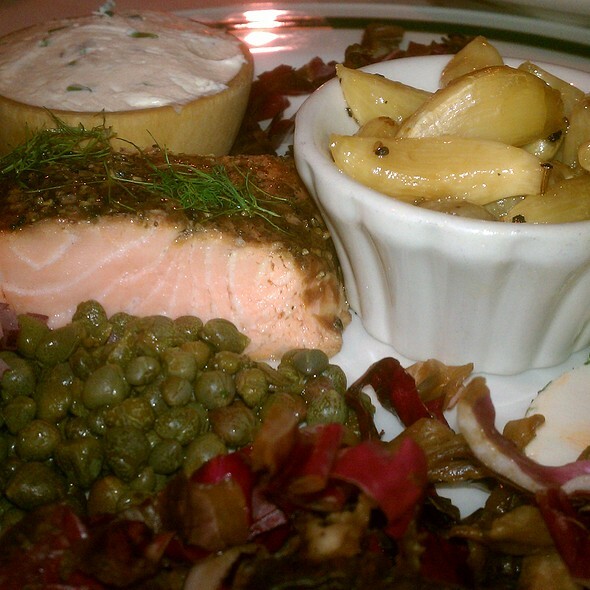 Salmon appetizer was great. Entrees were expensive for what you got. The atmosphere looked like it would be a quiet, quaint environment, but it was extremely loud. You had to speak very loudly to be heard over other diners. Excellent place for a nice dinner. Went on our 20 year anniversary and absolutely enjoyed our time here. The food was excellent and the staff was very responsive. We will definitely be going back here in the future. Highly recommended! 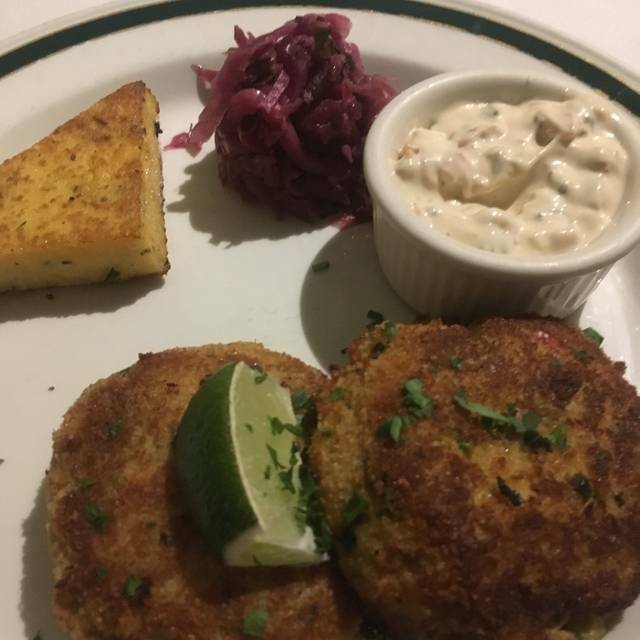 I think the sides that we HAD to have with our entree were crummy... purple cabbage and polenta cakes . We should be able to choose an alternative, salad or different side. But, hopefully, when we come again it will not be those two sides!!! 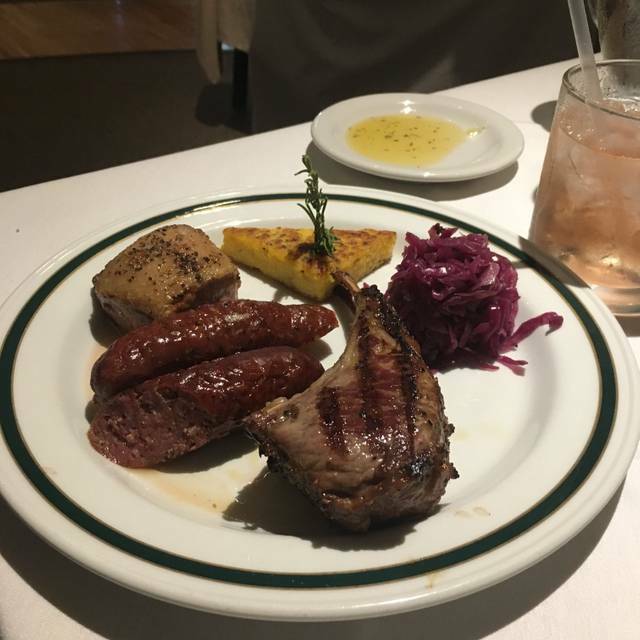 This is our favorite restaurant in the Entire DFW area, bar none! This is our anniversary dining choice, birthdays and any other special occasion we can come up with. Everything from ambiance, menu, service, and of course the food is 5 star all the way. One of my favorite places to eat. Always a pleasant experience and the food is awesome. Always excellent with impeccable service. 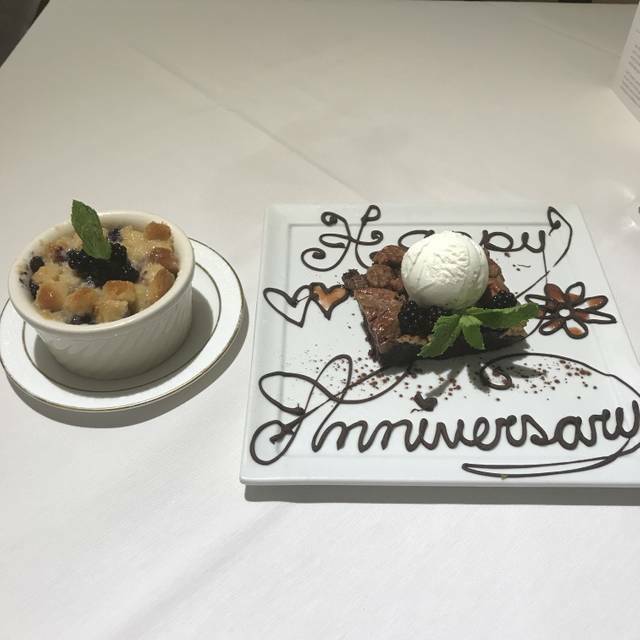 The Classic Staff are on top of their game and make a night out extra special. The service was most excellent; Jeff in-particular. 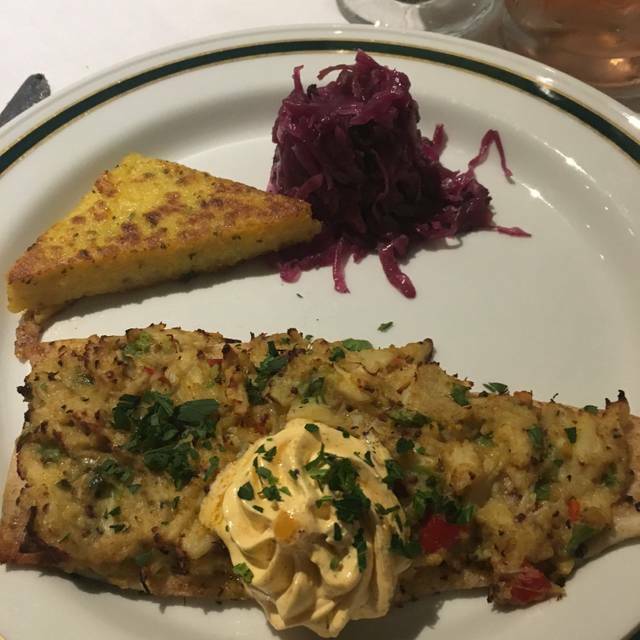 The food was very good and the atmosphere very conducive to a quiet, enjoyable evening in which one can actually talk softly to the the person you are with. Adorable restaurant in downtown Roanoke. Excellent atmosphere but overreaching on some the dishes in terms of complexity and pricing. Duck breast entree is top notch, but salmon pasta boring. When manager asked us about our meal, he did not take the feedback very open minded. One bad experience can have a tremendous ripple effect. If you were served at our table you'd never return, I promise. You're manager is an embarrassment to your industry. The food was excellent, the service was prompt and friendly, and we were seated promptly at our reservation time. This was despite the fact that we went on Valentines Day and they were super busy. We will definitely return. Outstanding every time. Highly recommend. Francis is an expert with wine selections! I came in for lunch and the food was fantastic. The service was great and the chef’s special of the day was very unique and delicious. It was a great experience.